A view of the mountains with help from Aspire Tours. 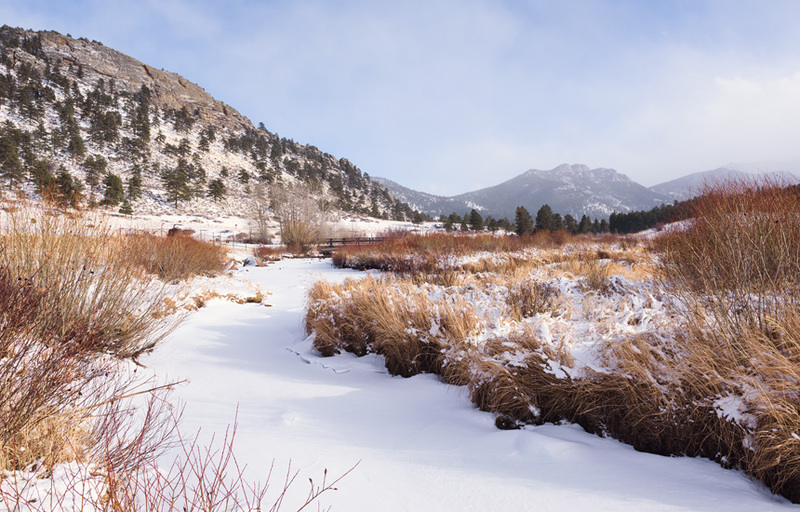 A view from Moraine Park at the Rocky Mountain National Park. Shannon and I celebrated our anniversary by taking an impromptu trip to Denver. 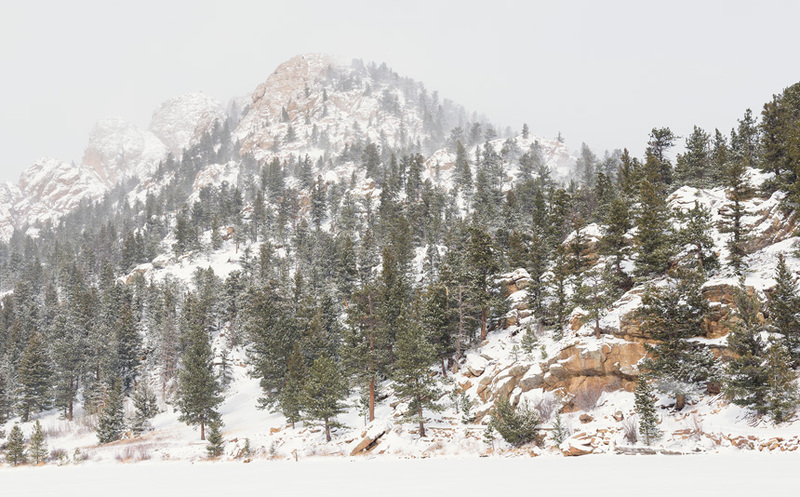 While we were there, we booked a trip to the Rocky Mountain National Park through Aspire Tours. During our few hours in the mountains, the weather was sunny and nice, to windy and snowy with minimal visibility. As we made our way through the park, it was relaxing to spot wildlife and take in the views. The mountains were so beautiful that it was difficult to return to Chicago — and hard to put into words how much the experience meant to me. If you’ve never been to the Rocky Mountains before and would like an introduction, I would recommend the tour that we took. As for me, I’m now looking forward to planning my own trip back into the mountains to spend more time there appreciating the beauty that Mother Nature has to offer. 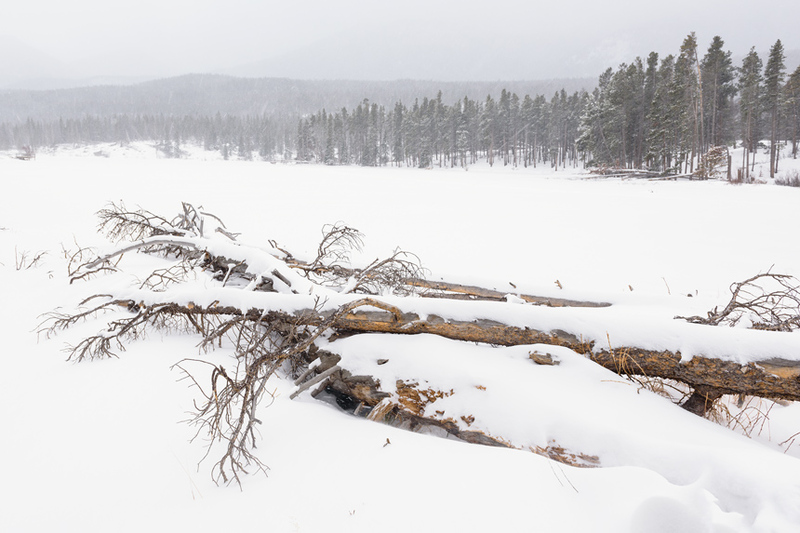 A fallen tree covered in snow. 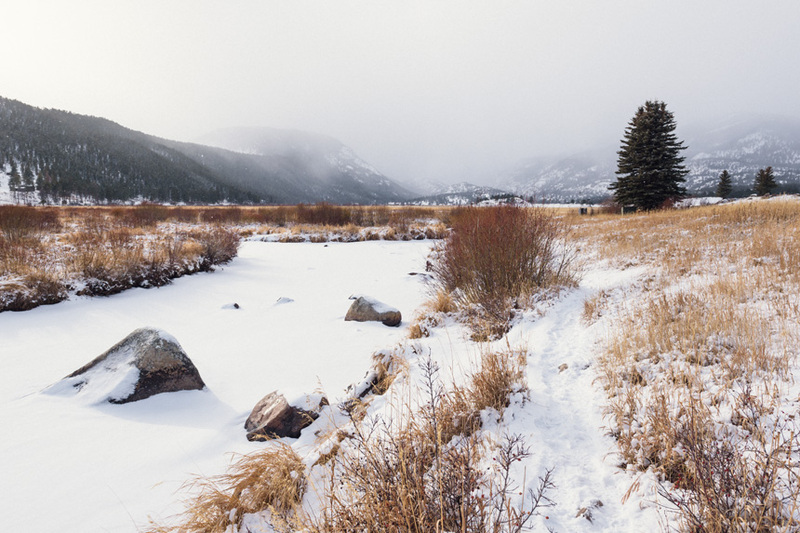 The frozen view of Lily Lake at the Rocky Mountain National Park. 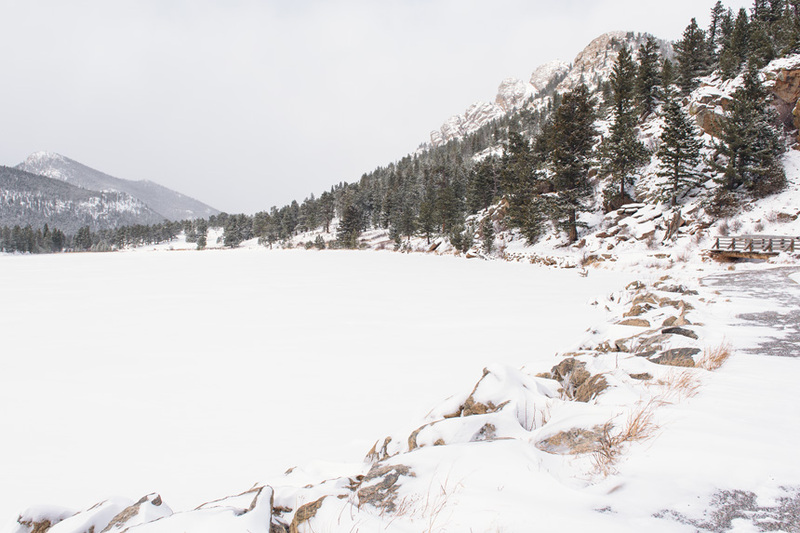 Another view from Lily Lake at the Rocky Mountain National Park. A different view from Moraine Park. 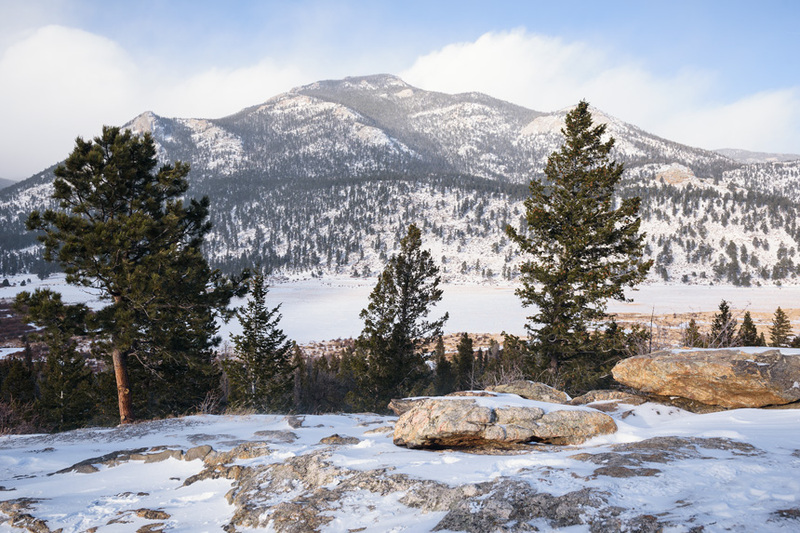 A two-image panorama of a beautiful view at the Rocky Mountain National Park.